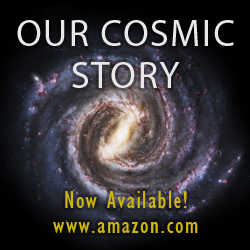 Mathew wrote Our Cosmic Story in interest from his years studying science giants like Brian Greene, Neil deGrasse Tyson, Richard Dawkins and from past figures like Carl Sagan. This book is a big picture view of our world, its diverse life and civilizations, and the chance for life and civilizations elsewhere in the cosmos. Mathew is currently a senior community manager in the computer game industry. He also studies physics, astronomy, and related areas, and often consults with game development studios on the topics found in this book. His goal is to raise everyone’s awareness on why our existence as a civilization is so precious.